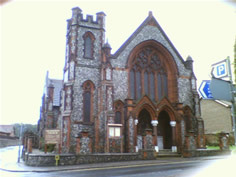 Cromer Methodist Church is known for its unusual features – the beautiful oak furniture and fittings and it’s ornate internal features. The church can be located on the corner of Hall Road and Holt Road. It has a small Junior Church membership. There is also a car park.